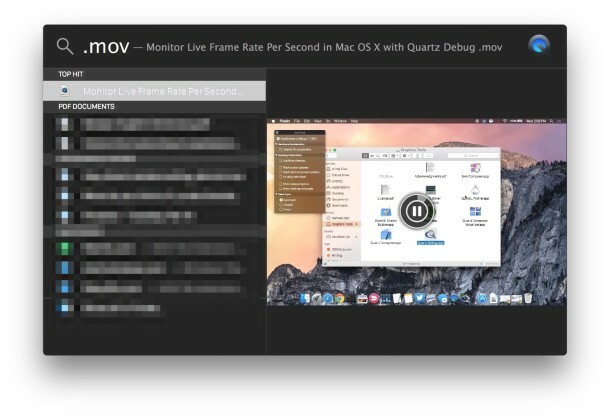 Modern versions of Mac OS X allow videos and movie files to be previewed and played directly in the Spotlight search results menu. This isn’t really a viable option to watch a long video, but it is extremely useful to quickly locate a specific video or a scene within some movie file without opening a ton of individual files into QuickTime Player. A similar feature lets you play videos directly in a Finder window, that feature works in modern versions of Mac OS X like Yosemite, but also as far back as Mac OS X 10.6 and earlier as well.